In 1964, ​In C started as a seemingly inconspicious piece by a hardly­known composer, performed by a bunch of fellow music students and composers at the San Francisco Tape Music Center. Within two years’ time, it had become a seminal work for the then­new minimal music, making this modular repetitive wash of sound and colour, one of the landmark works in recent music history. More than fifty years later, Terr​ y Riley’s ​In C has lost nothing of its appeal and vigour, inviting new generations of musicians and listeners alike to explore its innate subtleties and liberating collective experience. In C is unique – especially in this experimental context – because it was already interactive 50 years ago at a time when computers could only produce simple dis​turbing beeps. 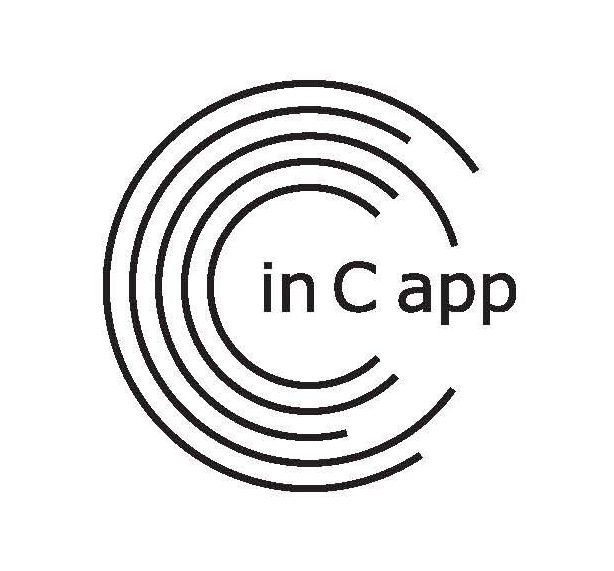 ​In C, so far ahead of its time – was just waiting to be played worldwide via the internet and that is exactly the objective of the ​In C App (www.incapp.net) project. Because of its already advanced interactive form, Jazzperiments and the musical expertsof Champdaction were able to respect the precepts of ​In C nearly to the letter. All the original ‘rules’ of the piece as described by Terry Riley were implemented, but also the freedom of the performers was ensured – just like in any normal live performance. During the workshop (11h20 – ­1​3h) you will learn about ​In C and how to play the composition using the ​In C App. You can choose your own instrument and play with people all over the world. At the evening concert by the Christian Klinkenberg Orchestra you can even play along live with the app at your seat in the audience (only for people who followed the workshop)! ￼With the support of Terry Riley and Music Sales Corp./G. Schirmer Inc.